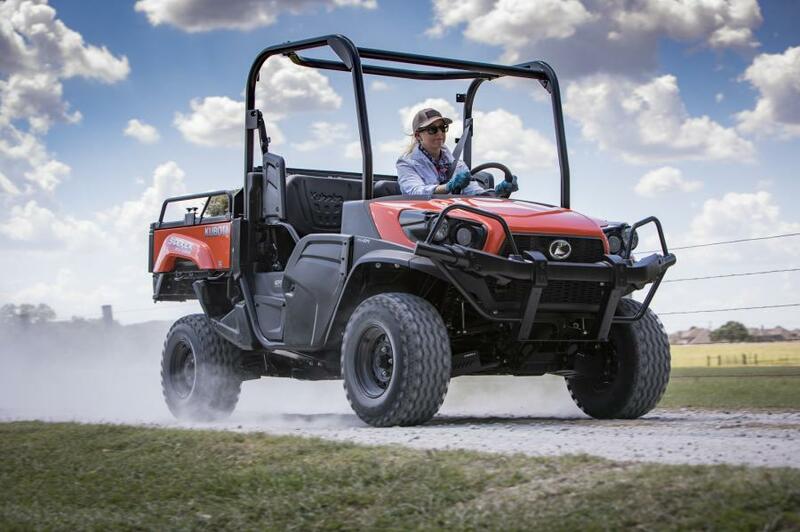 Kubota debuts the newest addition to its RTV family arriving this spring, the all-new, gas-powered RTV-XG850 Sidekick, the company’s fastest utility vehicle yet. The Sidekick's quick acceleration and high transport speed — up to 40 mph — come from a powerful 48 horsepower gasoline engine. Equipped with a Continuously Variable Transmission with Centrifugal Clutch (CVT Plus), the Sidekick's rugged, water-cooled engine provides plenty of torque for a quick and smooth take-off. The Idle Speed Control (ISC) and highland correction ensure stable power for any situation. Designed for easy handling at any speed, the Sidekick offers a comfortable drive with its enhanced speed-sensitive Electronic Power Steering (EPS), improving both handling and stability. Tuned front and rear independent suspension offers a consistently smooth ride and engine-assisted braking allows for greater control and increased safety during descents. A selectable full-time 4WD system gives the operator optimum traction and control on any terrain, even under heavy loads. With class-leading 2,000 lbs. towing capacity and standard equipped with a trailer hitch, the Sidekick is ready for a wide range of towing jobs – from boats to trailers and more. Additionally, the Sidekick's cargo capacity enables it to carry up to 15.2 cu. ft., or half a ton (1,000 lbs./600 lbs. California models) of gear, tools, firewood, supplies and building materials in its heavy-duty steel cargo box. Even more, the cargo box comes with optional electric hydraulic lift for fast and effortless dumping. From the smart ergonomic meter panel, steering wheel and shift knob, to the bright LED headlights, the Kubota Sidekick offers many convenient features that will make the drive safe and comfortable. For added operator comfort, shoulder guards on the ROPS keep all riders within the passenger area during tight turns, while half doors keep brush and other elements out of the vehicle. 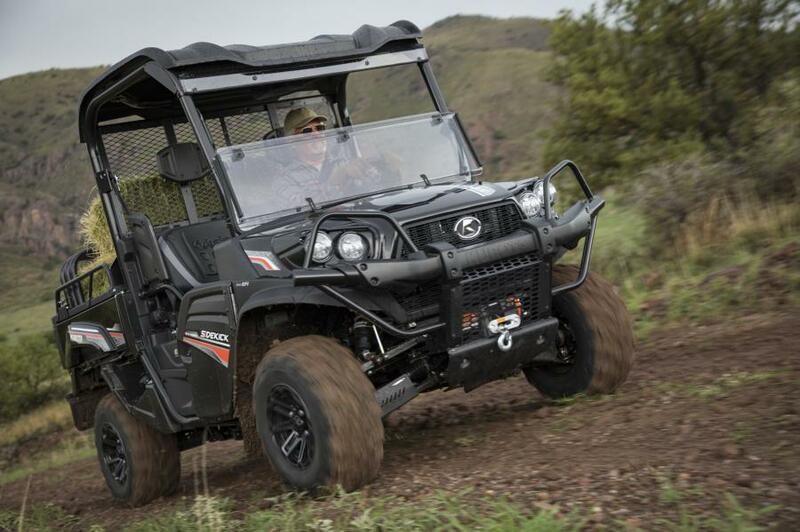 A full line of new attachments and accessory options, developed specifically for the Sidekick, will be available for customers to further enhance their RTV driving experience, adding even more comfort and customized preferences, including a premium audio system, LED headlights, sports roof or bed extender to carry more cargo, just to name a few. 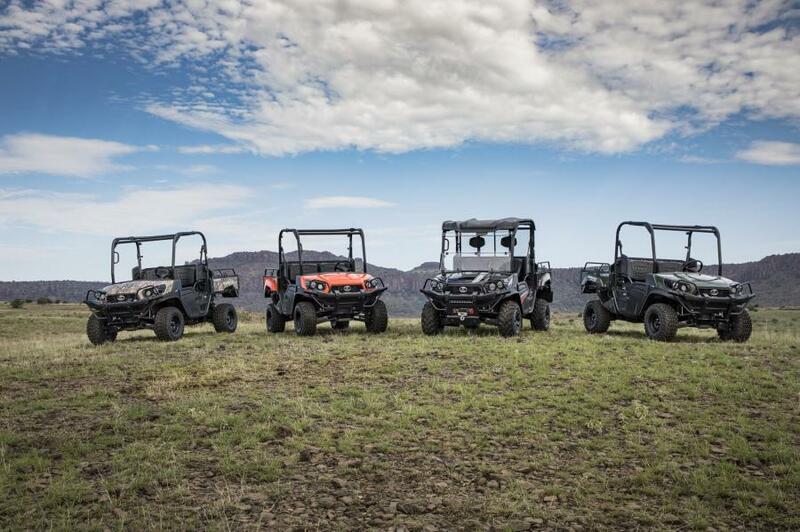 Available in Kubota dealerships this spring, the Sidekick will be offered in four distinct colors – Kubota Orange, RealTree AP Camo and additional new colors: green and black. For more information visit KubotaUSA.com. *Power Products Marketing, North American Utility Vehicle Markets Report.